Impressively Light + Compact for Those Who Want Power, Performance and Portability. Smart Innovation: Our Easy Oil Retention System allows the F6 and F4 to be stored on their sides or front grip without oil leakage. Our F15 and F20 designs feature a water-cooled fuel pump, boosting power and preventing warm weather starting issues like vapor lock. Ultra-Low Emissions: Yamaha portables from F4 through F20 are California Air Resources Board (C.A.R.B.) Three-Star Rated for Ultra-Low Emissions. 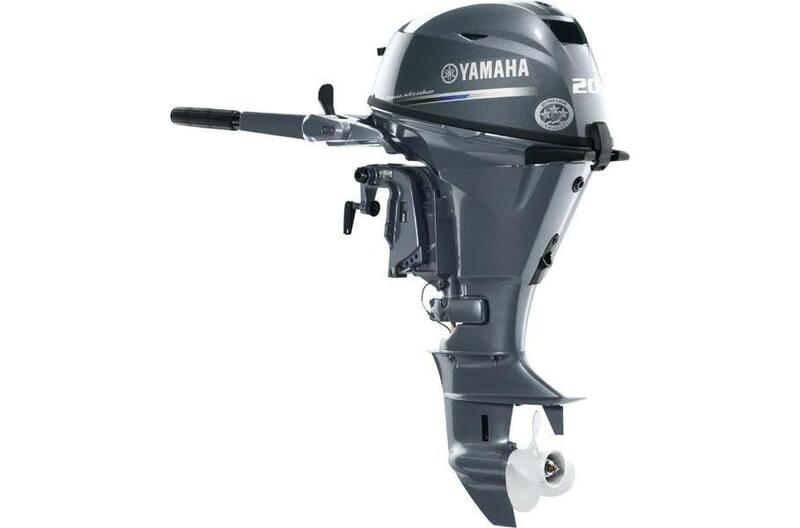 All Yamaha portable outboards meet federal EPA requirements. Corrosion Protection: Yamaha’s exclusive YDC-30 Alloy is one of the most corrosion-resistant base material in the industry. Used with Yamaha’s proprietary ACP-221 Paint Process, it provides an extra-tough barrier against corrosion. They’re both key components of our renowned Ultimate Corrosion Protection System (UCP-II™), which is standard on all Yamaha Portable four stroke outboards. Efficient Operation: Microcomputer Ignition automatically adjusts timing to maintain optimum engine performance, economy and power under all conditions.